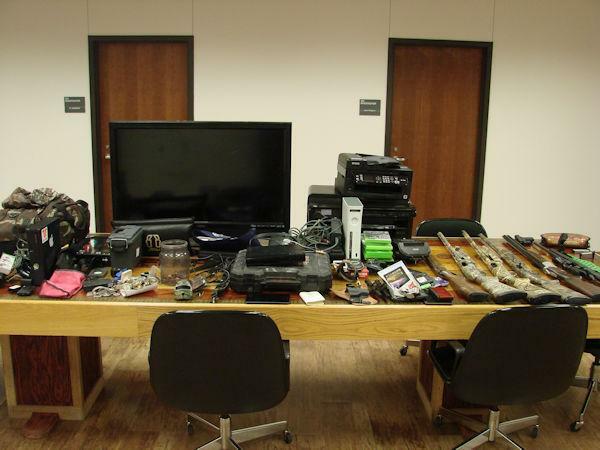 Stolen merchandise included multiple firearms. Prolific Thieves Busted by Sheriff's Dectectives, LIVINGSTON, July 22, 2016 - On today’s date, Detectives with the Polk County Sheriff’s Office were investigating several burglaries which occurred in the Goodrich area of Polk County. Acting on tips provided by neighbors, detectives were able to zero in on a group of travel trailers which was described as having high traffic in and out of the travel trailers at all hours of the night and was believed to be involved in the sale of illegal narcotics. Surveillance was conducted on the group of trailers and a traffic stop was initiated on a white Mustang seen leaving the location. 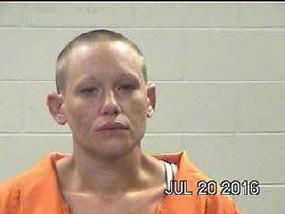 The driver, Melissa Vanwinkle age 33, of Goodrich, was placed under arrest for no insurance. 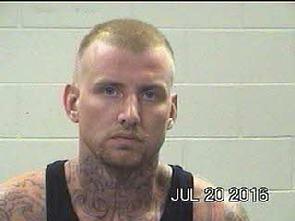 The passenger was identified as John Frazer, 28, of Coldspring, and he was placed under arrest for no seatbelt. 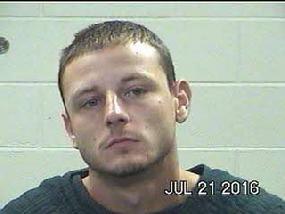 Detectives went back to the trailers to identify a second male subject and he was identified as Dusty Hanson, 22, of Splendora. While on scene, Detectives observed a truck which appeared to have been freshly spray painted and the original red paint could be seen underneath the truck. A check of the VIN number showed the truck to be stolen out of Montgomery Co. Identification belonging to Frazer was located inside the truck and property from one of the burglaries was located inside the truck as well. When confronted with the evidence found, Dusty advised detectives one of the travel trailers, A Prowler by Heartland, was stolen as well. Detectives ran the VIN and confirmed it was stolen. Dusty advised that he and several others had pawned most of the property from the burglaries and some of the stolen weapons from the burglaries were inside of the travel trailer. A search warrant was typed up and obtained and a search of the travel trailer turned up a substantial quantity of methamphetamine and several pieces of property reported stolen in the Goodrich burglaries. Arrests of all three suspects were made on charges ranging from Engaging in organized criminal activity (felony) to Manufacture/Delivery of a controlled substance penalty (felony). This investigation is still ongoing and more warrants will be issued for the arrests of suspects involved in this case. Sheriff Hammack would like to thank the public for continuing to come forward with information regarding illegal activity and reporting it to the Sheriff’s Office. Sheriff Hammack urges all Polk County Citizens to record serial and model numbers of anything of value and the items that do not have either, to take photographs and keep this information in a safe/secure place. Sheriff Hammack acknowledges in this case, although it is not always possible to recover all or any of the items stolen in thefts and burglaries, the recording of serial numbers and photographs aided the detectives in recovering approximately 85% of the stolen property and helped to clear up at least 7 burglaries, a stolen vehicle and a stolen travel trailer.